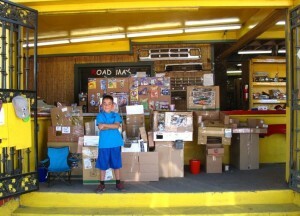 Have you seen Caine’s Arcade? It’s full of goodness and hope and a reminder of how powerful creative play can be. Wouldn’t it be great to see more of this kind of stuff on Facebook and less of that other stuff? You know the stuff I am talking about: negative political memes, the kind that do nothing to the change the world or anyone’s political views. The only thing they may do is hurt the feelings of some of your friends or family who happen to think differently than you. Oh! And that annoying Facebook hoax that never seems to really go away. (In case you haven’t heard, Facebook is not going to start charging.) How about we start posting some positive stuff?! I am well aware of the bad things that happen in the world but somehow I think spreading hope rather than vitriol is more productive. Stepping off my soapbox now to give you time to watch the videos. They’re a bit long, think of them as mini movies. This movie turned in to a movement. Check out the #CardboardChallenge. I always stop at a lemonade stand in the same spirit Nirvan stopped and played the arcade. Thanks for sharing this amazing film.